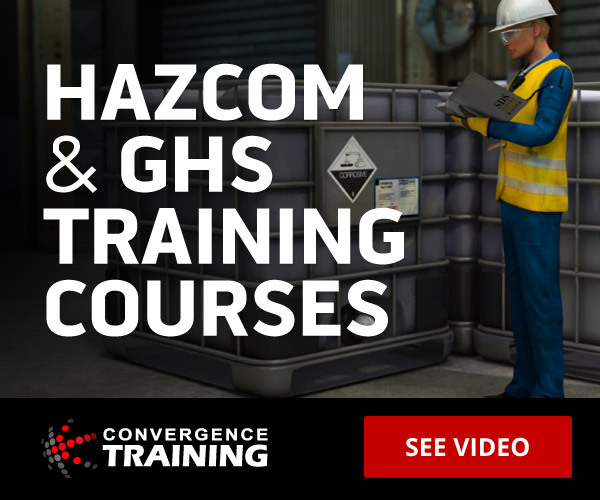 By now, you’ve probably heard that the new HazCom 2012 standard has been revised to align with the Globally Harmonized System, or GHS. If we just caught you 100% unaware, you are now excused to go read the information on OSHA’s website about the GHS alignment. However, we suspect most of you know about this, but that you have been wondering just exactly what it means. Or maybe you’ve wondered about a few of the details. If so, the following is for you. What and when do I have to train my workers? Before December 1, 2013, you have to train your workers on the new elements of a GHS-compliant shipping label and on the new safety data sheet (SDS) format. Is there a transition period? June 1, 2015 is the deadline for compliance with all modified parts of the HazCom standard. An exception is made for distributors, who can continue shipping chemicals from manufacturers and importers that do not have GHS-compliant shipping labels until December 1, 2015. And, employers have until June 1, 2016 to update their hazard communications programs as necessary, update alternative workplace labels as necessary, and to provide additional training to employees for any newly identified physical or health hazards. OSHA has more details about effective dates for HazCom GHS on their site. What does a GHS-compliant shipping label look like? The labels that chemical manufacturers, distributors, and importers must put on containers of hazardous chemicals don’t have to be exactly alike, but they do have to have the following elements. A product identifier that explains what the product is. The name, address, and telephone number of the manufacturer or importer. Precautionary statements that list measures to follow in order to use or store the chemical more safely. A pictogram that represents the type of hazard. A signal word that indicates how severe the hazard is. The signal word will be “Danger” for severe hazards or “Warning” for less severe hazards. A hazard statement which describes the hazard or hazards in words. Sample GHS-compliant label from OSHA website. Finally, the pictogram(s), signal word, and hazard statement(s) used on the label are all determined by matching the hazard(s) that the chemical presents to specific classes and categories of hazards defined in the HazCom standard (for more on this, see Appendix A for health hazards and Appendix B for physical hazards). The standard then assigns an appropriate pictogram, signal word, and hazard statement to use for each category/class of hazard (see Appendix C for more on this). What do the GHS label pictograms look like? There are nine GHS label pictograms, though OSHA only requires the use of eight. The ninth pictogram represents environmental hazards. Although OSHA doesn’t require its use, other agencies (such as the EPA) may. You can download free vector GHS symbols here. Will DOT labels still be used for transport? When a chemical is being transported, DOT regulations still apply. As a result, “outside” shipping containers still must be labeled with the DOT label or placard (featuring the DOT pictograms). Read more about the DOT and GHS here. Can one chemical container have both a GHS shipping pictogram and a DOT transport pictogram? No. When a DOT pictogram is put on a container, a GHS pictogram should not be on the same container. What kind of labels can be used at the workplace? Once a chemical is at a workplace, employers have a few labeling options. First, they can continue to use the GHS shipping label or a label with the same format. Or, they can use alternative workplace labels, including the NFPA and HMIS labels you may already be familiar with. For more on this, see 1910.1200(f)(6)(ii). See the brief on the OSHA website for details about the SDS. What about other types of hazards? Read our separate posts about requirements for what OSHA is calling hazards not otherwise classified and for pyrophoric gases, simple asphyxiants, and combustible dusts. For Warehousing activities, will a company who stocks inventory in their own warehouses need to re-label containers to be GHS compliant post Dec. 1, 2015 if they will end up shipping (interstate, intrastate, and outside the country) material to their other site locations…for their employee use? Does this company meet OSHS&#39;s definition of a &quot;distributer&quot;? There is a lot of confusion out there with regards to labeling and SDS for Hazardous Materials. Today I looked at SDS’s for a chemical (Potassium 2-ethylhexanoate) from two different vendors. One vendor listed pictorgrams for Danger and Corrosive, while the second manufacturer listed that same chemical as Carcinogen and Flammable. I am NOT making this up. I won’t offer up the two vendor’s names but one begins with A and one with D. Shouldn’t there be a table where we can plug the CAS # into a field, then it would give us the pictogram label requirements instead of different companies assuming different hazardous properties. I have had 2 cases this week where our end user is labeling a substance as corrosive, where the manufacturer insists that the same chemical (1,3 Dioxolane) is non-corrosive. Great point, example, and suggestion, Scott. Back when I was researching this more closely, I thought I saw some resource that OSHA had for the kind of “look-up” you’re talking about. Although my memory is stretched right now, as it’s been a while since I thought I saw something like that, and I feel like at best it was incomplete and that OSHA puts a deal of responsibility on the manufacturer to determine the hazards correctly. I’ll see if I can poke around a little later today and see if I can find something on that. Thank you for your quick, yet thoughtful response, Jeffrey. I will check out OSHA again, but I had checked the US DOT site for guidance on placards on Corrosive materials. They have a 16 page list of chemicals ID’s as corrosive, and the two materials that had been deemed corrosive by two separate customers of ours do not appear on that list. Scott, that list you linked me to is better (in the sense you’re asking for) than what I can find on OSHA’s website. On OSHA’s site, the HazCom 2012 standard includes information on classifying hazards in Appendix A, Appendix B, and (to a lesser extent) Appendix E. But it’s not the specific stuff you’re looking for, and I can see why you wished that existed.